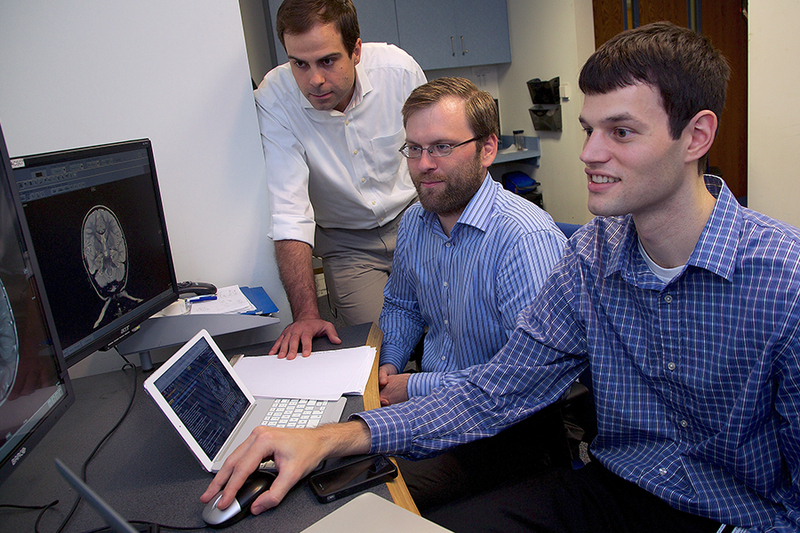 Radiology Resident Drew Streicher's study will help current residents and radiologists everywhere gain a better understanding of how interruptions and multitasking impact the work of radiologists. This year there were several applicants, each with a project that showed tremendous passion for making the Department, the patient experience, and medical imaging safer and more cost effective. One talented resident, Dr. Drew Streicher, was selected to pursue his project: investigating the effect of multitasking and interruptions on the quality and practice environment in radiology. Early in his residency training, Dr. Streicher realized that interruptions such as clinical consults, phone calls, and protocoling exams are inevitable and in fact, these experiences are often valuable interactions. However, depending on the timing, these interactions likely have an impact on the quality and efficiency of the radiologist’s ability to perform the primary task of image interpretation, as well as increase levels of stress/fatigue. Through a mutual interest in the topic with his mentors, Drs. Michael Osipow and Aarti Sekhar, a project idea was developed. Dr. Streicher aims to identify the types and number of interruptions a radiologist experiences, how these interruptions affect stress levels, and how thoughtful reading room design can impact the number of interruptions and decrease the need for multitasking. Additionally, through a unique partnership with the SimTigrate design lab at Georgia Tech, Streicher will perform a case-control simulation that will involve image interpretation in two different environments, an interruption heavy and interruption free environment, to determine the effect of multitasking and interruptions on efficiency, report quality, and error rate. With radiology facing a paradigm shift from a volume-based system to one focused on providing value, this study will provide data on the potential deleterious effects of multitasking and interruptions in the reading room. This study will help current residents and radiologists everywhere gain a better understanding of how interruptions and multitasking impact the work of radiologists. The Department looks forward to seeing the results of this project. The Adopt-a-Resident Committee encourages current first-year residents (as well as second-year residents who may have developed an idea since the last deadline) to consider submitting a proposal. The deadline is Feb. 15, 2015. Please email Dr. Mimi Newell for additional information at mnewll@emory.edu.